The Chefs: December Dinner in Good Hands! 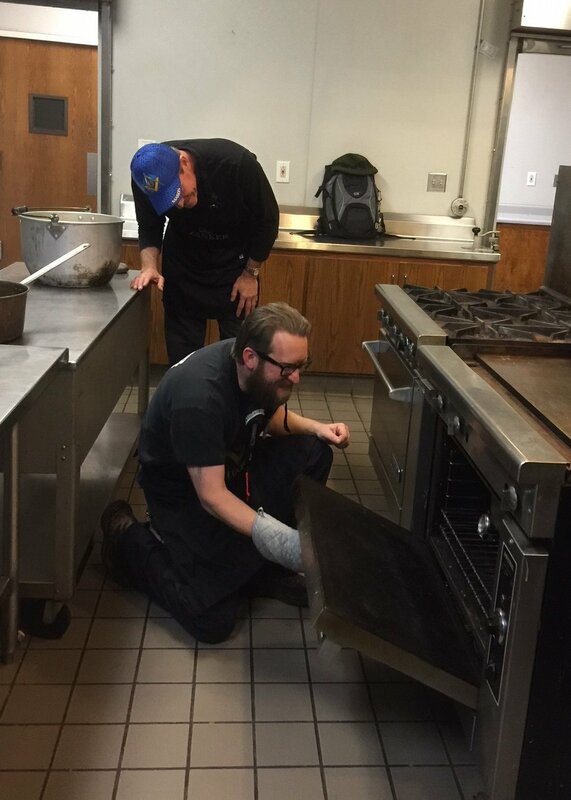 Bros. Fritz Zanker and Sean Loch are busy in the Kitchen preparing TWO brined turkeys for Decembers dinner. They will always be inspired by Chief Chef Steve Catteral! The REAL turkeys in the kitchen. Hey Sean, are you sure you know how to cook a turkey? !